Craving sushi? 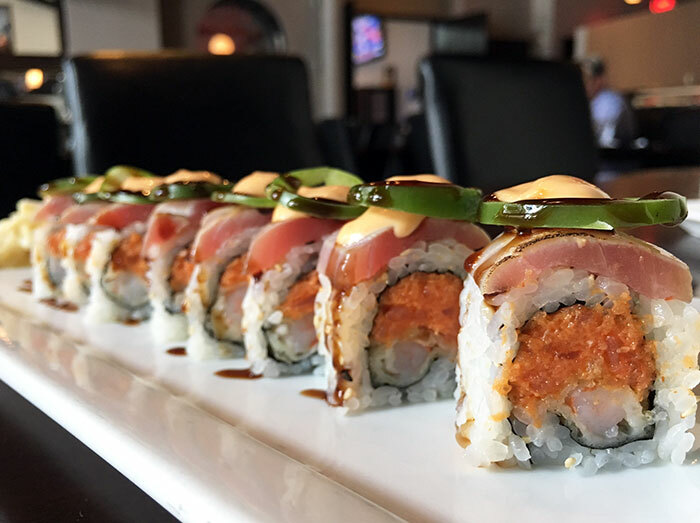 Here’s a list of Charlotte’s top 15 sushi restaurants and what to order at each spot. As our city grows, so does our sushi scene. 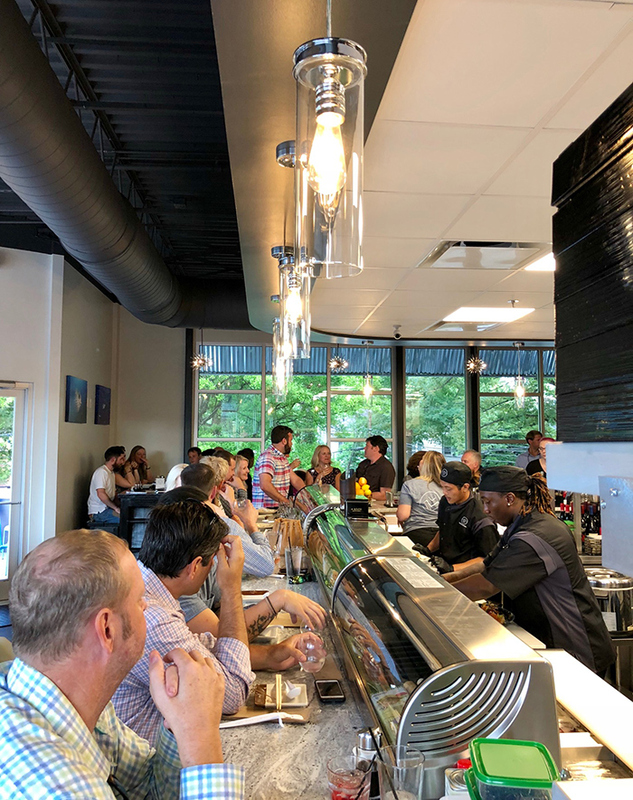 From new hotspots like O-Ku to neighborhood hidden gems like New Zealand Cafe, Charlotte is becoming a better spot for sushi lovers one restaurant at a time. 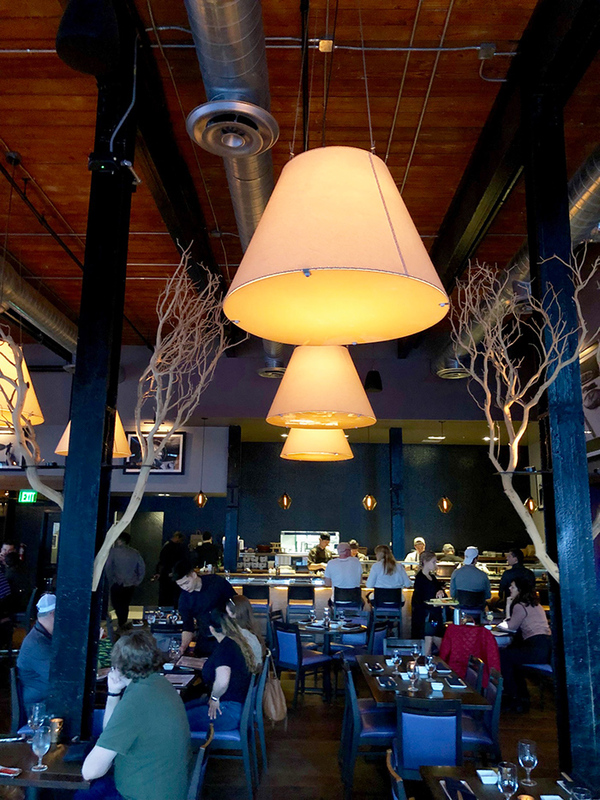 Vibe: Upscale restaurant in the heart of South End known for its dancing owner. What to order: Dragon Roll ($15) — shrimp tempura rolled in rice; avocado, eel on top. Eel, shrimp tempura, cucumber, tuna avocado and spicy eel sauce. No. 2 sushi restaurant atmosphere behind O-Ku. Prices are a little high but rolls are delicious and it’s walkable to multiple other South End spots. It’s also a close drive to Uptown or Montford. Vibe: Modern, clean design located near SouthPark mall. Excellent patio and lovely fish tank. 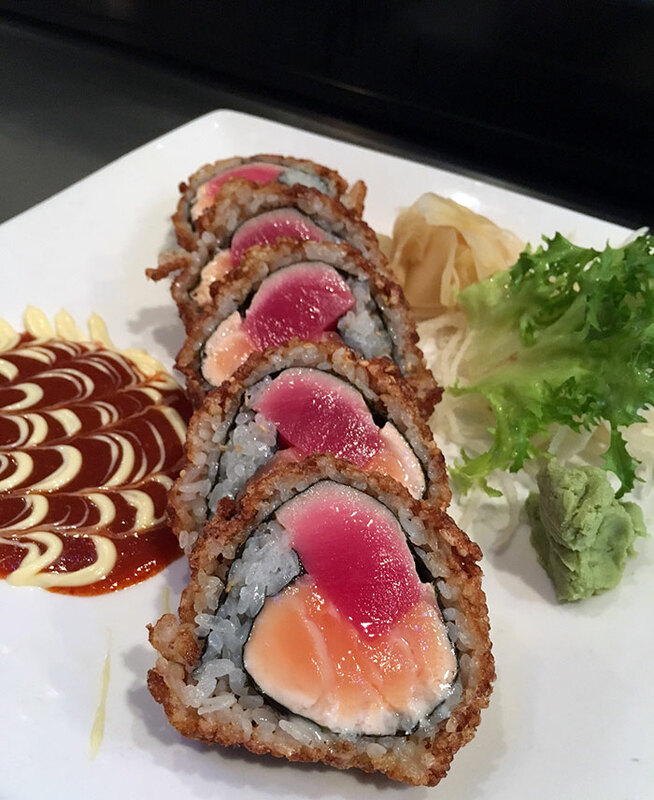 What to order: Mark’s Roll ($15) — fresh tuna, jalapeño, cream cheese, kani, scallions inside, coated with panko and flash fried. Topped with Japanese mayo and sriracha. Served with ponzu dipping sauce. 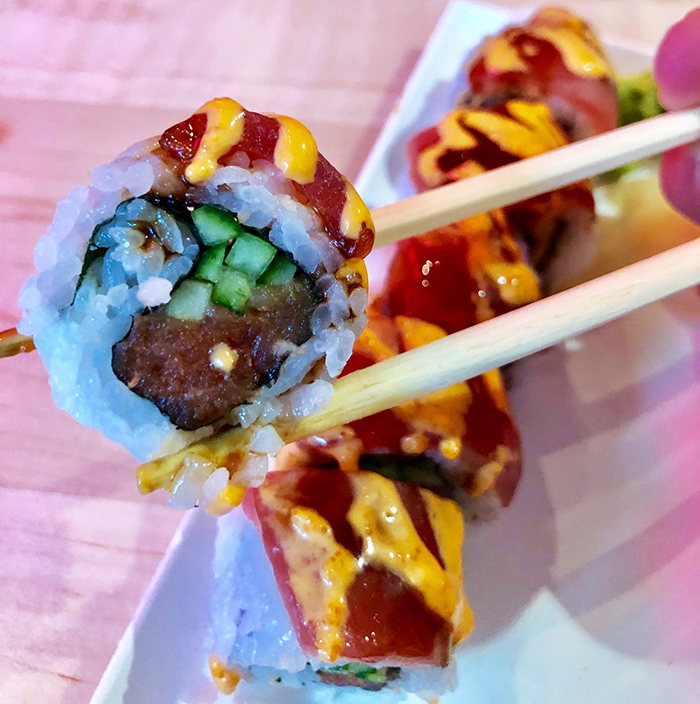 Cowfish’s most popular non-tradition roll? The All-American Bacon Double Cheeseburgooshi ($15) — Seasoned Certified Angus Beef, yellow cheddar cheese, white cheddar cheese, applewood bacon, and red onion, wrapped in soy paper and potato strings then flash fried. Vibe: Lounge feel with black leather seats in the Metropolitan. 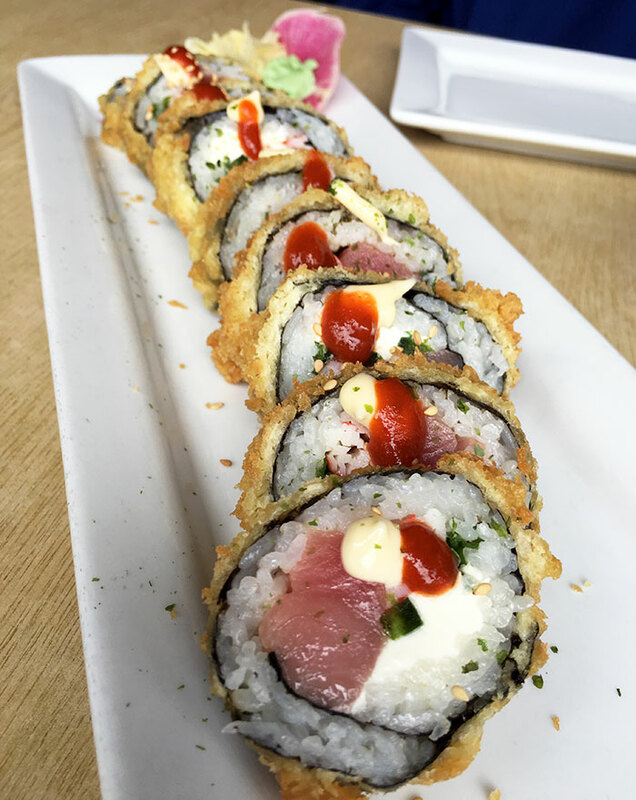 What to order: Screaming “O” Roll ($14) — spicy tuna, shrimp tempura roll, topped with seared tuna, jalapeño and spicy screaming “O” sauce. Deal: $11 all-you-can-eat sushi lunch special. Pisces is also well known for their cocktails and all-you-can-eat sushi lunch special. Vibe: Upscale and stylish Japanese restaurant across from SouthPark mall. Excellent sake selection as well. 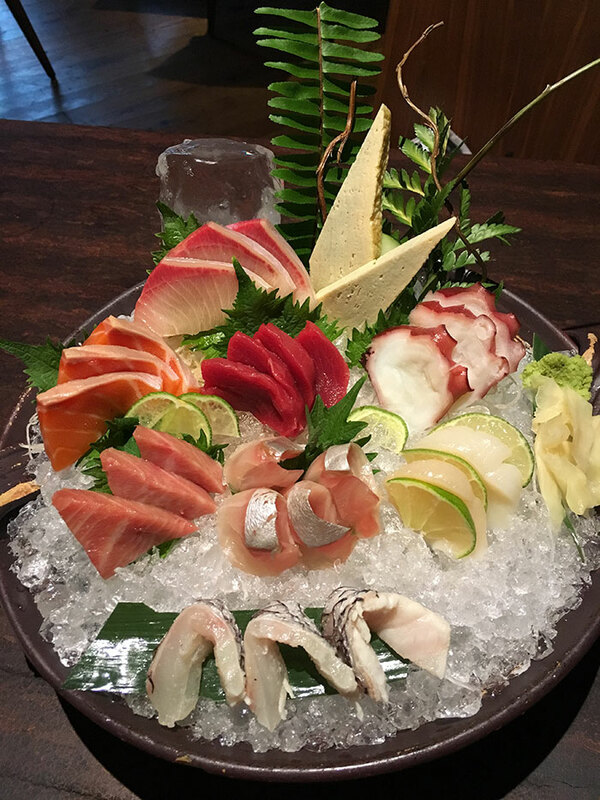 What to order: Baku Signature Ice Bowl ($55) — chef’s selection of seasonal sashimi and nigiri. Vibe: No-frills restaurant in Dilworth. 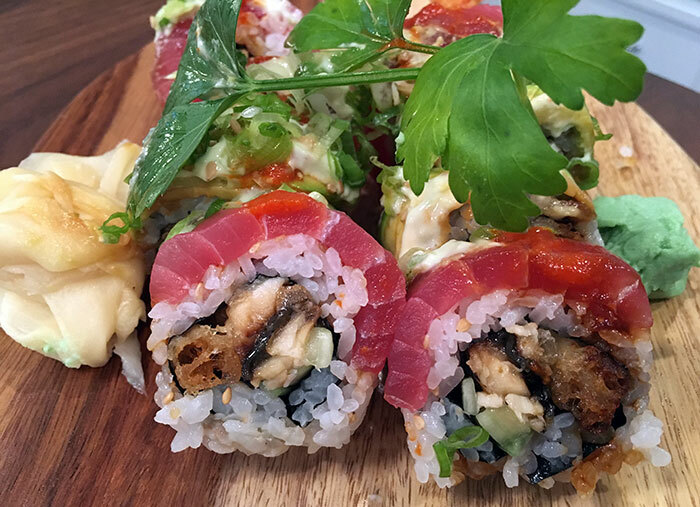 What to order: Fire Cracker Maki Roll ($9.25) — Fresh tuna and salmon rolled with sushi rice. It’s flash fried until crispy brown. The salmon is slightly cooked, and the tuna remains rare. Served with a kimchi mayo sauce on the side. Deal: $11.75 all-you-can-eat sushi buffet. It’s popular, very popular. Firecracker Roll is delicious, but due to it’s size, it’s hard to eat each roll in one bite — and we all know chopping sushi rolls with chopsticks is social suicide. Vibe: Casual and cozy spot near YAFO in SouthPark. 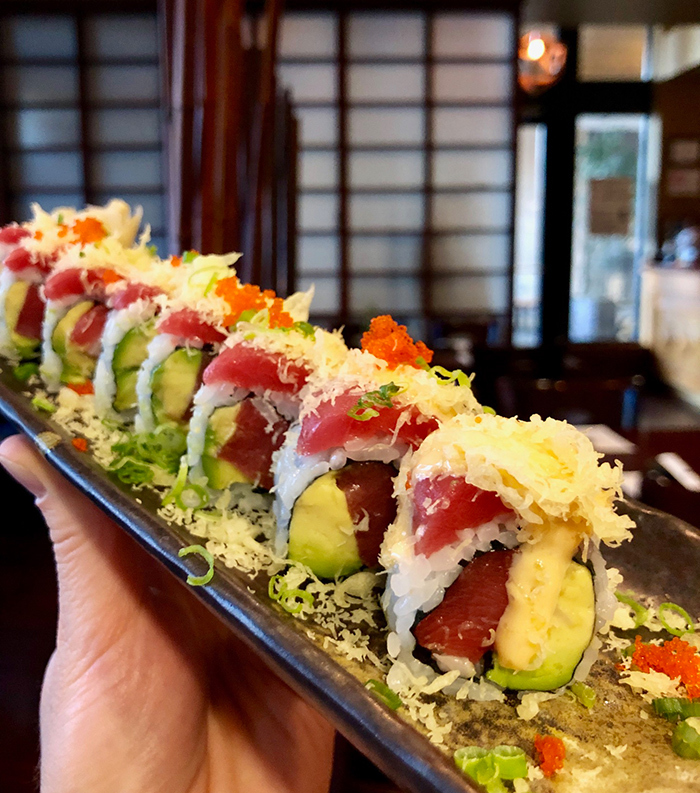 What to order: H&M Roll ($14) — tuna, avocado, topped with tuna, tempura flakes, masago, spring onions and spicy aioli. 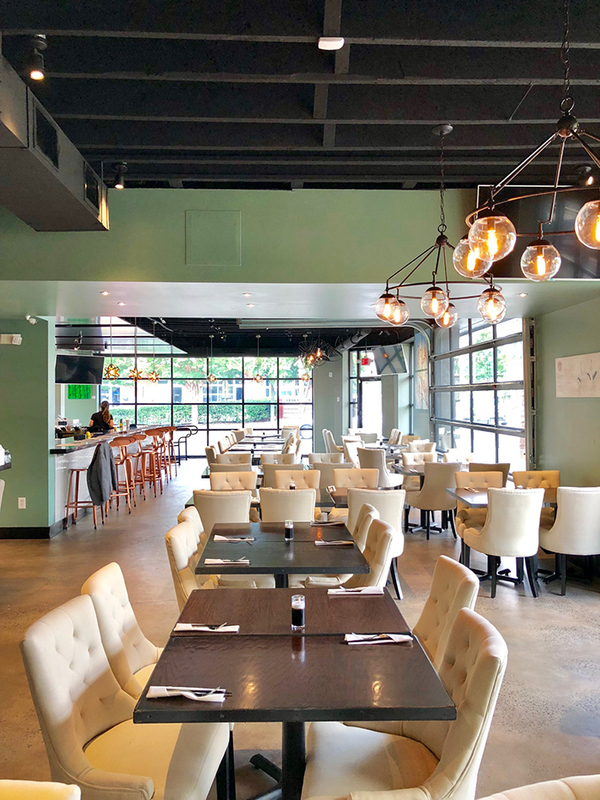 Vibe: Trendy two-story new spot in the heart of Plaza Midwood with a patio out front. 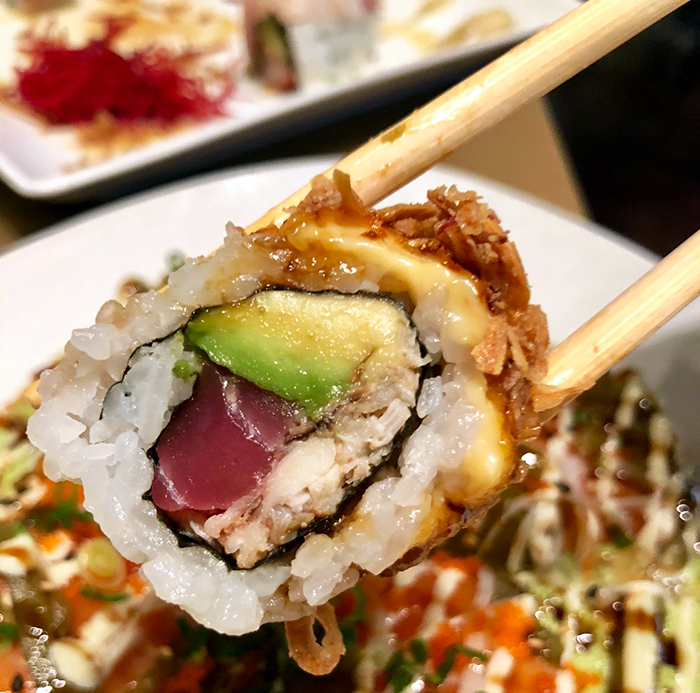 What to order: Guru Roll ($15) — tuna, lump crab and avocado drizzled with their signature spicy aioli, flash baked and topped with fried garlic and shallots. 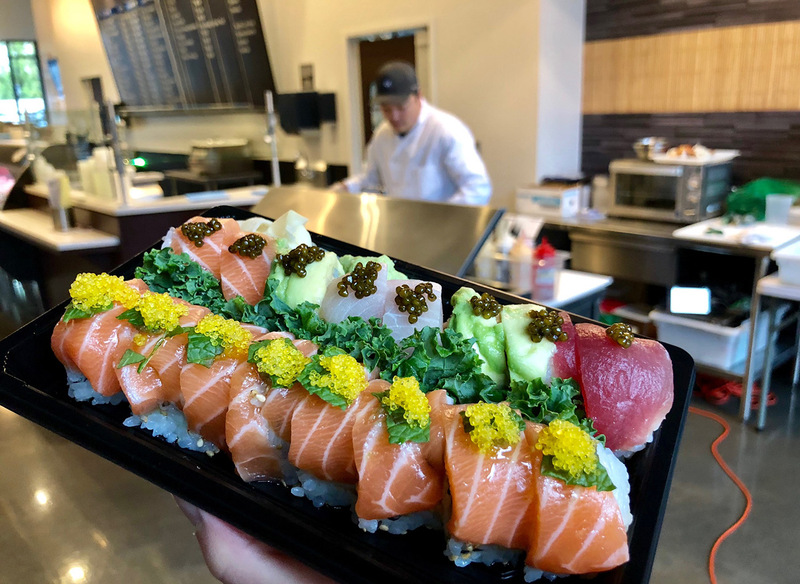 Vibe: Fast-casual sushi restaurant in the heart of Uptown for the grab and go crowd. What roll to order: Tuna “Wrap It Up” roll ($13) — big eye tuna, spicy tuna, cucumber, sweet soy and Sriracha aioli. Sushi burrito order: “The Big Eye” ($15) which includes tuna, mano, asian pear, masao, seaweed salad, ika salad and wasabi soy. 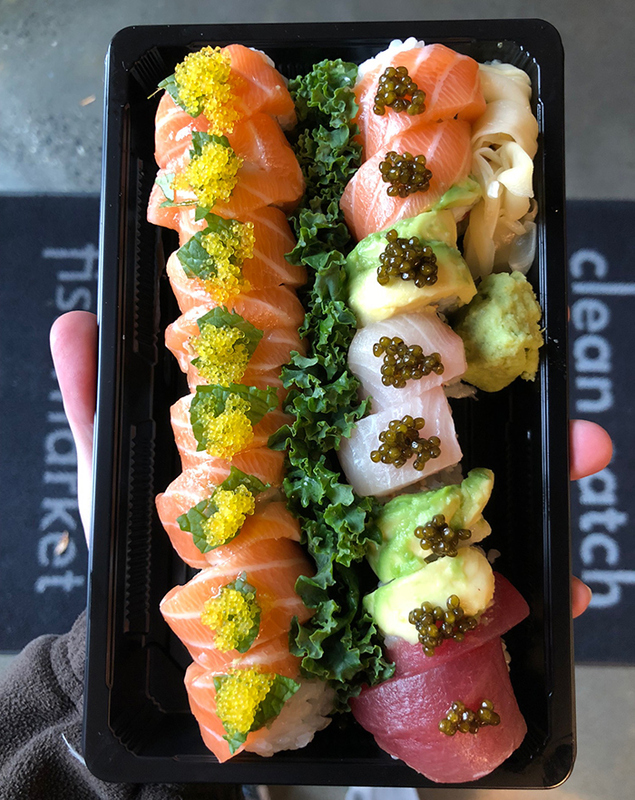 Daily Deal: To get rid of the day’s sushi and keep everything fresh, Sukoshi offers 50 percent off any remaining sushi in their grab-and-go coolers from 5-7 p.m. daily. 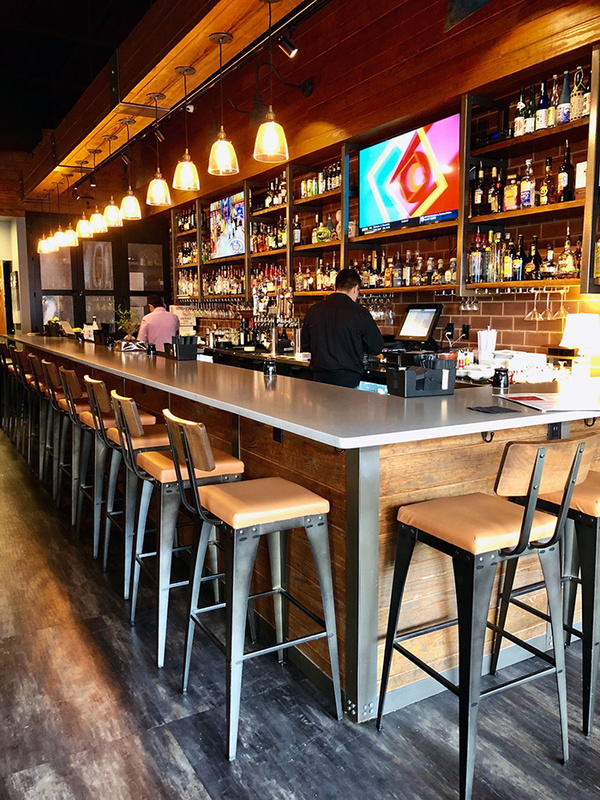 Vibe: Newly built spot in South End’s Gold District with a casual feel but commitment to quality (and the price points to match). 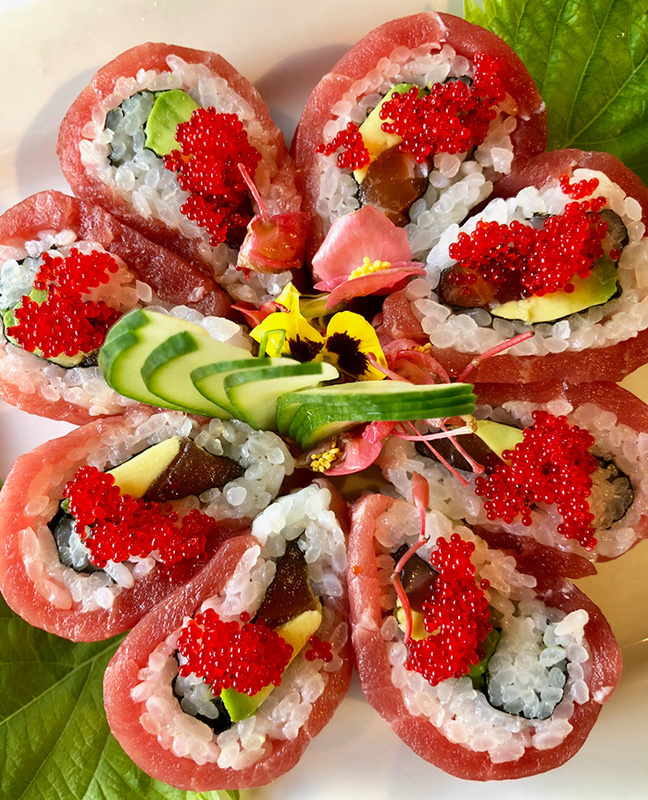 What to order: Sakura ($13) – flower shaped roll with salmon, tuna, avocado and tobiko. Fun order: Sora Box Sushi (it’s literally box shaped) — tuna, ungagi and avocado. Background: Husband-and-wife owners Tony Yum (chef) and Rosena Tong (manager) were both born in Hong Kong and ran a restaurant in San Francisco before moving to Charlotte. Vibe: Low-key neighborhood restaurant in an old Pizza Hut located in the heart of Cotswold. What roll to order: Cherry Blossom ($11.95) — tempura shrimp, spicy tuna and avocado in soy paper, with special sauce. 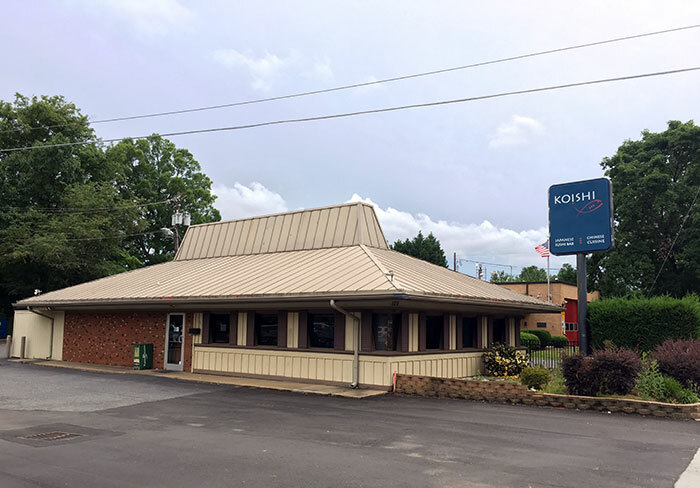 Where else can you eat sushi in a former Pizza Hut? Beautiful roll. Nice to have 10 pieces. Vibe: Simple space inside of Uptown’s 7th Street Public Market. 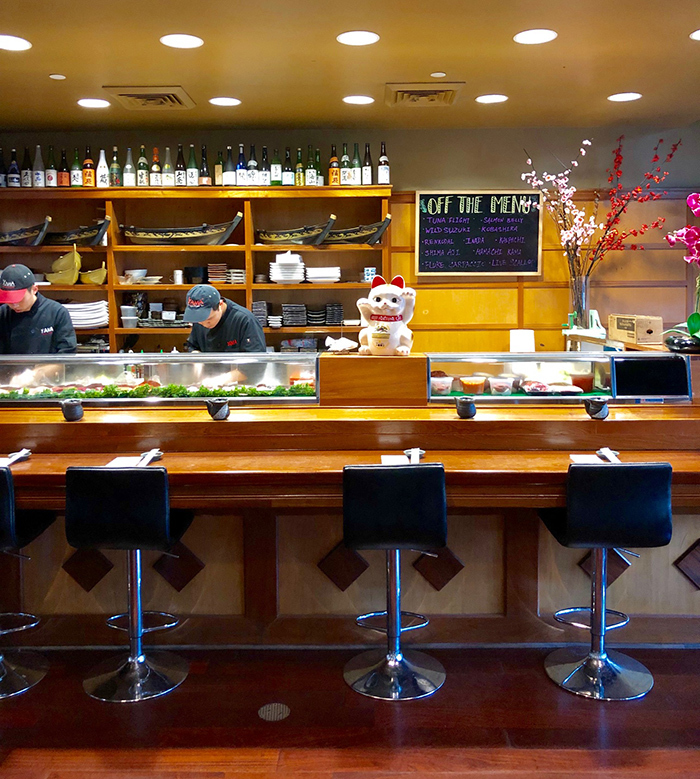 What to order: Tuna Poke Bowl ($8 small/$14 large) – diced tuna and avocado, edamame, tossed in a ginger soy sauce with masago, shallots, green peppers and scallion served over rice and topped with finely cut scallions. 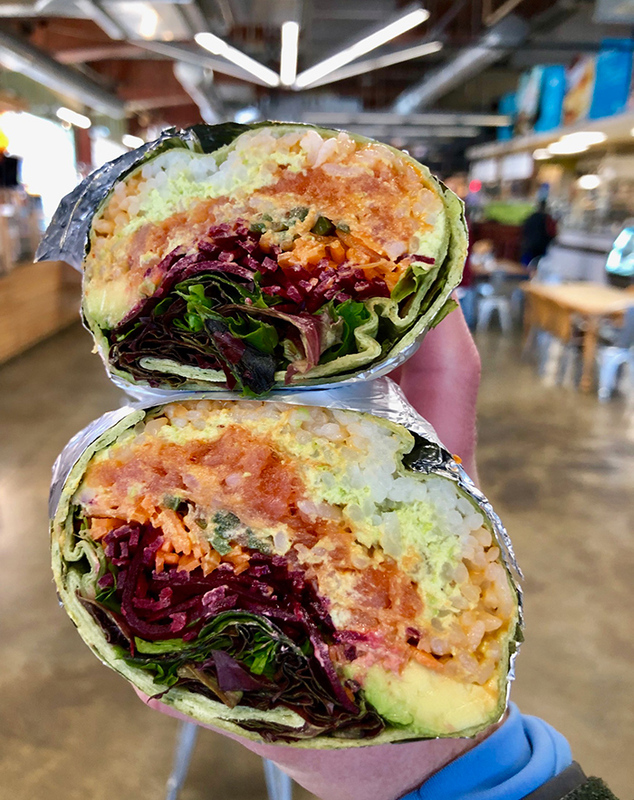 Sushi burrito order: The OG Hulk — spicy tuna, edamame hummus, spring mix, carrots, beets, cilantro, jalapeño, avocado and a little chipotle honey sauce. Poke is raw fish salad. It’s a traditional Hawaiian dish. And it’s freaking delicious. 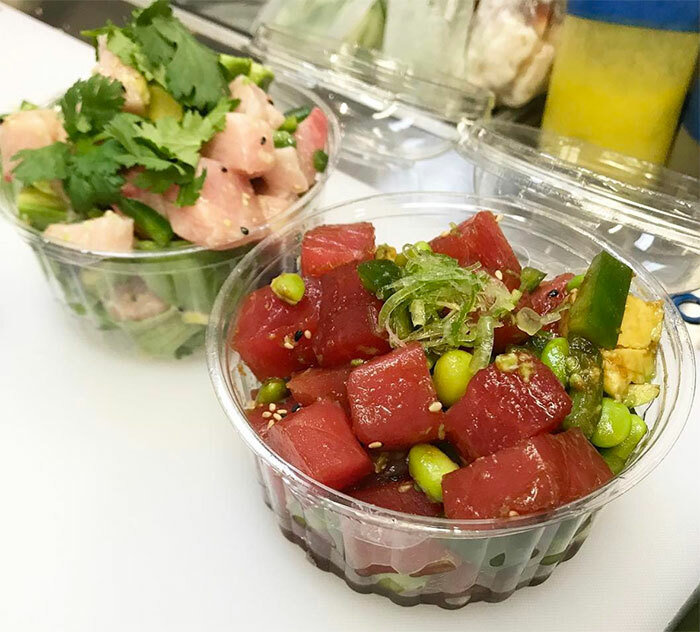 The Poke Bonsai menu includes Tuna Poke, Salmon Poke, Seafood Trio, Yellowtail Poke and Tofu Poke. 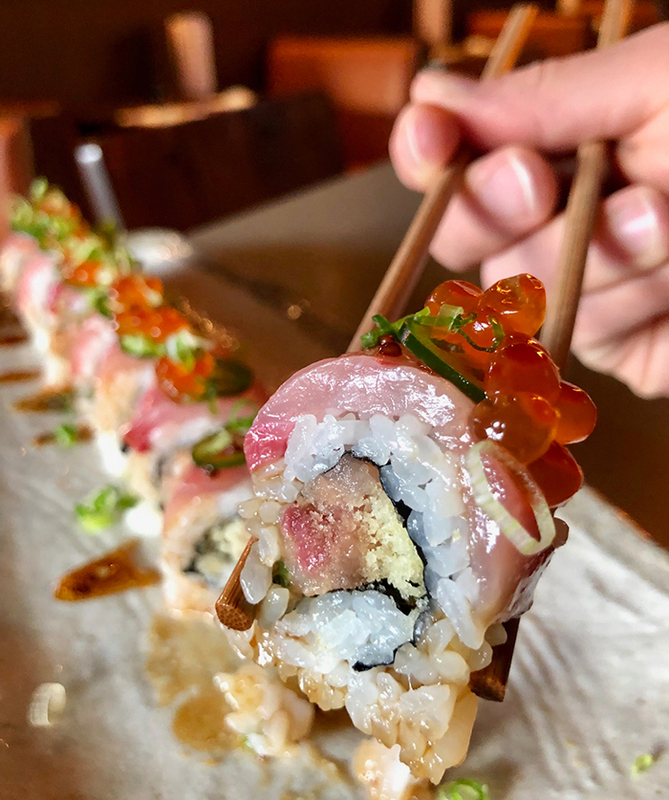 What to order: Hamachi Lover Roll ($14) – Negi hamachi with kimchi aioli, crunchy hamachi wrap, jalapeño, ikura and wasabi yuzu sauce. Hamachi Lover roll at Yamazuru. Other popular rolls include their Gladiator roll (shrimp tempura) and Yamazaru roll (crab salad, tuna and spicy baked eel). Wash it down with their Spicy Mule made with homemade ginger beer. Vibe: Upscale takeout-only seafood market in Myers Park. It’s expensive. 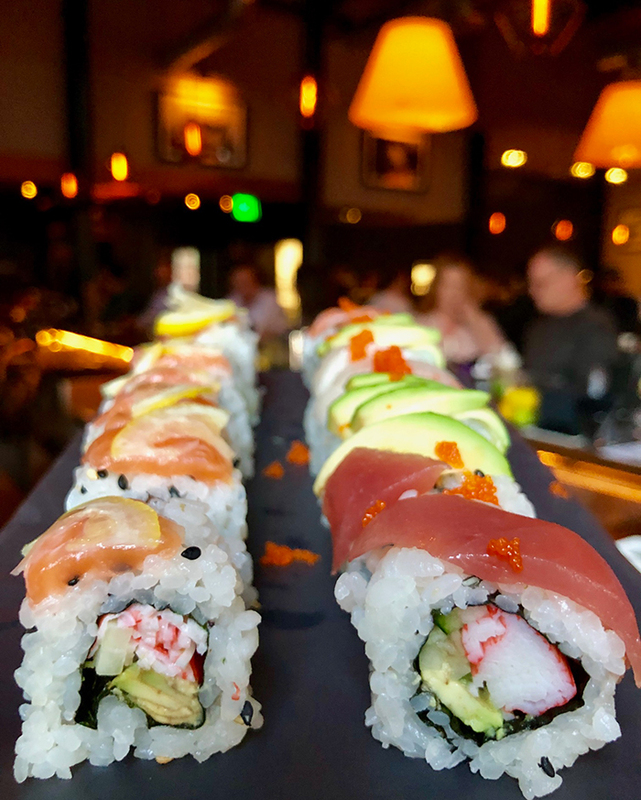 What to order: Mint-To-Be Roll ($18) – spicy king crab salad, avocado, topped with salmon, olive oil, yuzu kosho, mint leaf and yuzu tobiko. Quote: “It’s about the fish. 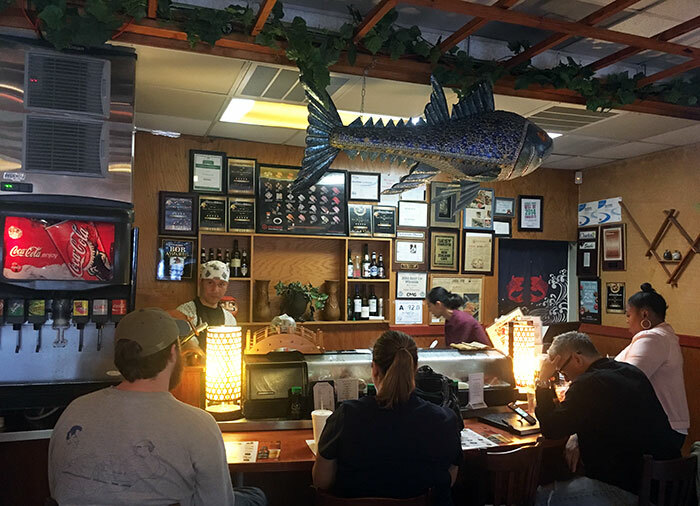 No other sushi bar uses our quality fish.” – Bill Ryan, owner of Clean Catch. Vibe: Small, neighborhood restaurant in an unsexy shopping center off Sardis Road. 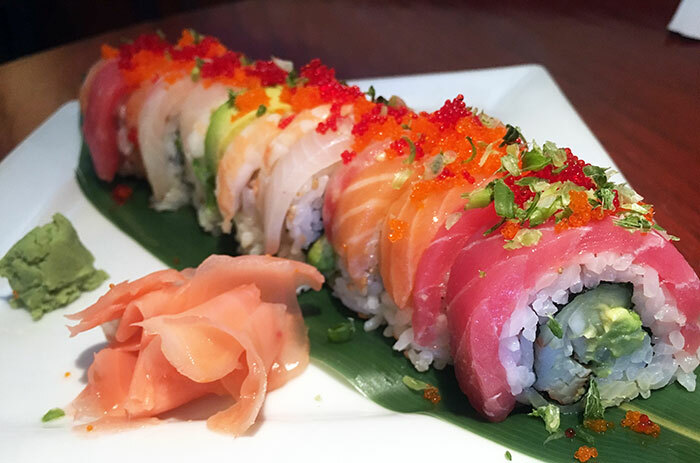 What to order: Rainbow Roll ($8.95) — California roll draped with tuna, salmon, white fish, shrimp and smelt roe. 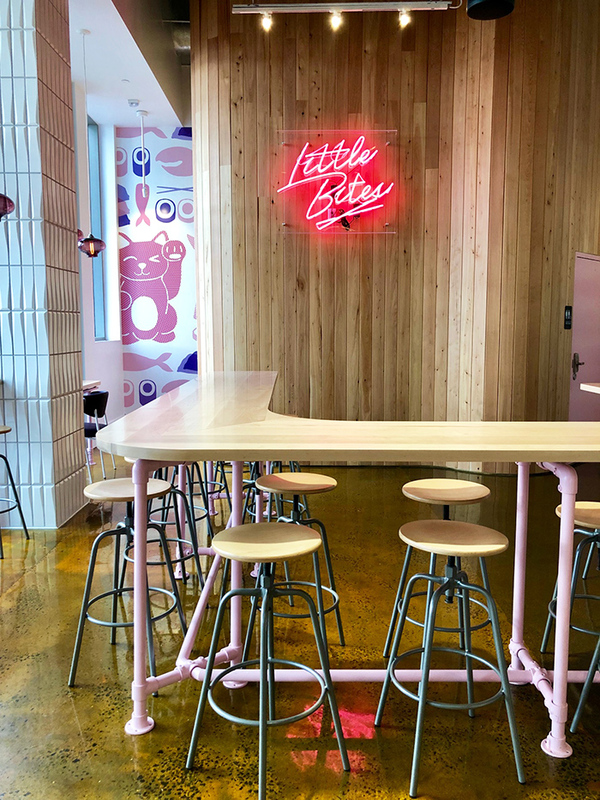 Inside New Zealand Cafe, you’ll find a small bar, high top tables and a few larger tables. When I visited at 4 p.m. on a weekday, I was shocked to find so many customers. In terms of value, I’d rank New Zealand No. 1. It’s melt in your mouth good with very reasonable prices. Vibe: Modern elegant interior space in South End’s Atherton Mill. It’s definitely the most upscale and beautiful of all our sushi restaurants. 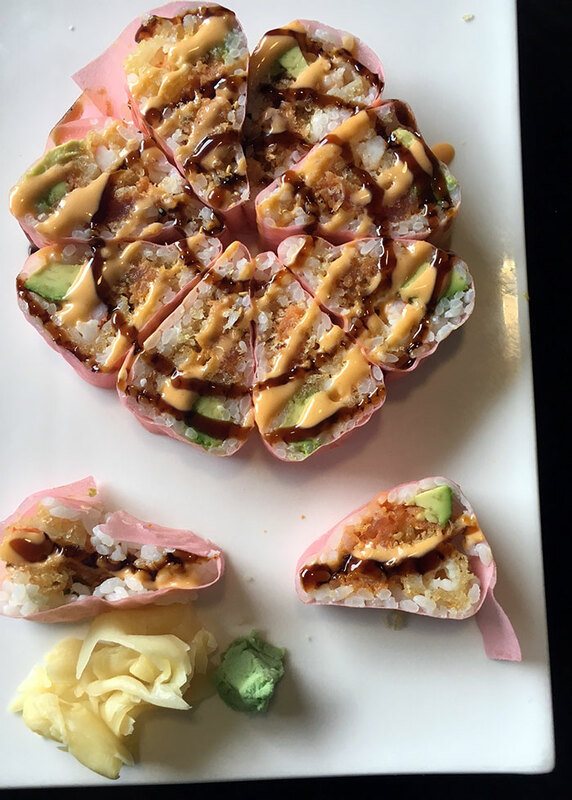 What to order: Red Dragon Roll ($14) — tempura shrimp, avocado, spicy crab mix, eel sauce and crunch. Their other two most popular rolls are the Salmon & Lemon Roll and the Spicy Rainbow Roll. Deal: Half-priced sushi from 5 p.m. to 7 p.m. on Monday and Wednesday. O-Ku’s Salmon & Lemon Roll (left) and Rainbow Roll (right).